Somewhere, someone at the 21st Century Fox organization was just forced to sigh, get up from their chair, and replace whatever number was hanging on the company’s “X Days Since A High-Profile Harassment Scandal” sign with a big fat goose egg yet again. 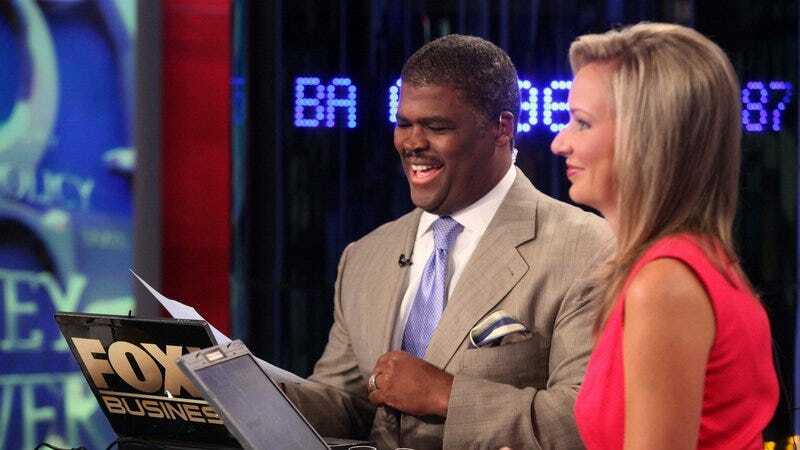 The Los Angeles Times reports that the Fox Business Network has just suspended veteran host Charles Payne over accusations of harassment, apparently stemming from his treatment of an on-air analyst he engaged in a three-year sexual relationship with. Payne admitted to the affair in a statement to the National Enquirer this week, but the woman in question alleges that, after she ended the relationship, Payne began exerting pressure to block her from appearances on the financial news network. Fox’s image on matters of sexual harassment has tanked over the last year, from the ousting of Roger Ailes and Bill O’Reilly to, just this week, the firing of Fox Sports exec Jamie Horowitz over sexual harassment allegations. (Not to mention a number of lawsuits, accusations, and other big-name departures along the way.) Former Fox News co-president Bill Shine—who the woman in the Payne case apparently contacted, hoping to get help with Payne’s alleged treatment of her—left earlier this year, in a move that was largely seen as a reaction to the public perception of the company’s corporate culture.